With Erin from Island Bell (Food, Beauty and Travel blogger), we arrive to a casual, cosy and lively atmosphere at the Soho, Denman Street location. The venue is modern, simple and Japanese inspired. We hit up the hirata buns, a Taiwanese street food made famous by David Chang’s US restaurant chain Momofuku (Read my Sydney review here). A fluffy, bun-y pillow-y morsel that is stuffed with glorious saucy fillings. 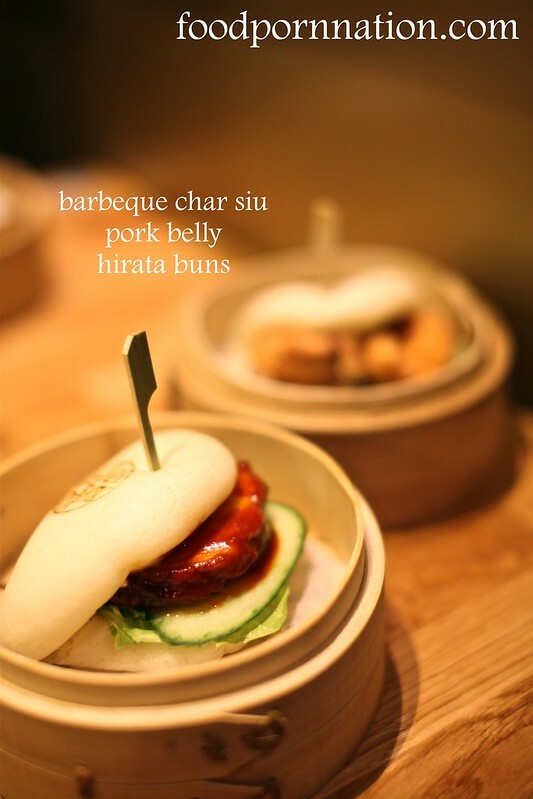 Pork is an obvious choice of filling, with its char siu barbeque pork belly squeezing its way into those buns and so is the deep fried chicken, a soy marinated chicken karaage. Altogether 2 pieces are £7.50. The texture of the bun itself was slightly dense and tough which added more bite and chew. The pork filling is thick and generous. It is a delicious piece of meat but it was heavily doused in the thick barbeque sauce. While flavouful, the sauce was slightly overpowering. 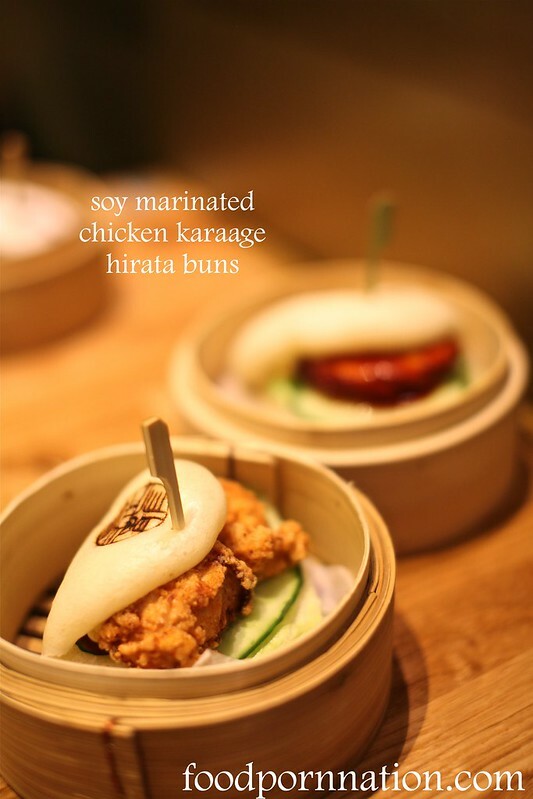 The chicken karaage in the hirata bun was like having deep fried chicken in a bun. Simple stuff. But simple is always good and the karaage had a lovely crunch and was very good. Perfect with the tang and creaminess of the kewpie mayo laced on top. Erin is gluten intolerant and opts for the gluten free buns with ginger salmon. She offers a taste, I take a bite and usually gluten free tastes gluten free, especially in the carb variety. But this doesn’t and gets my tick of approval. The fish filling was actually quite tasty. The signature ramen – Shoryu Ganso Tonkostu (£11.00), arrives with a rich tonkotsu pork broth, barbeque pork, nitamago egg, kikurage mushrooms, spring onions, sesame, ginger, nori and maru (caramelised black garlic oil). As ramen rituals go, I always go in for a slurp of the broth first. We all know, it all comes down to the broth. The broth is tasty, full of umami and earthy notes but lacks in the richness and boldness from your typical tonkotsu pork broth. The triple act of barbeque pork was delicious, gleaming with its gorgeous fatty glow. The texture of the ramen was bouncy and chewy but I was particularly disappointed by the execution of the nitamago egg. The centre was overcooked rather than an expectant runny filling and I always like my eggs runny. I also found that the caramelised black garlic oil was rather subtle. For dessert, we had to try the truffle mochi (£4.5 each). The tiramisu (GF) was decent and tasted like a tiramisu with the texture of a mochi rice cake. However, it was the raspberry with milk chocolate (GF) that stole our hearts. It was tart and tangy from the raspberry which juxtaposed beautifully with the rich and sweet chocolate flavour. 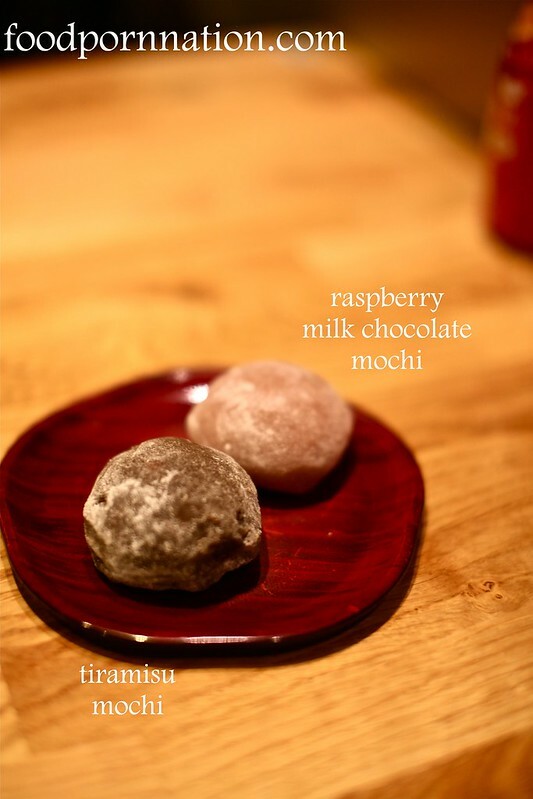 If you have to pick one flavour of mochi to try, it has to be raspberry with milk chocolate. Overall, I am sad to say that the ramen did not live up to my expectations of the Hakata style tonkostu ramen. I was hoping for something more unctuous and bolder when it comes to the broth, the broth being the building blocks of a great ramen. 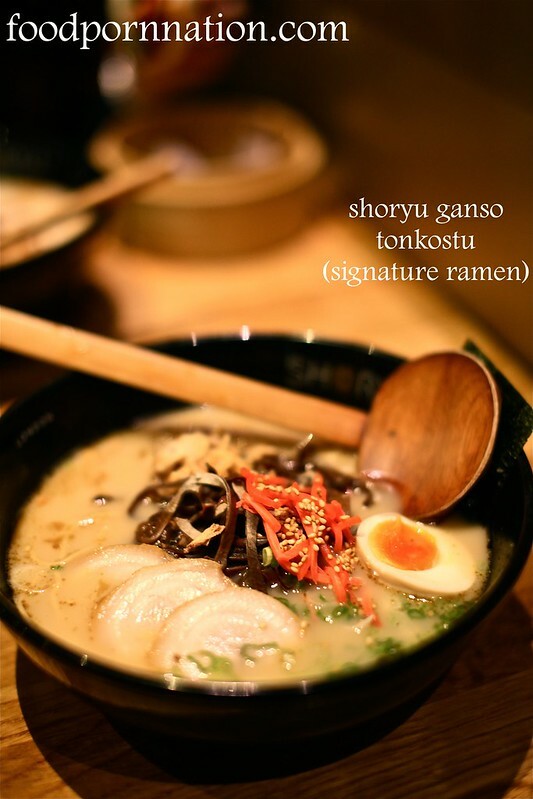 Service was prompt and efficient and for the cost and experience of the meal, Shoryu Soho stands to be reasonable when you take into consideration all of the other tasty dishes on offer but unfortunately it isn’t the best tonkostu ramen I’ve ever had. 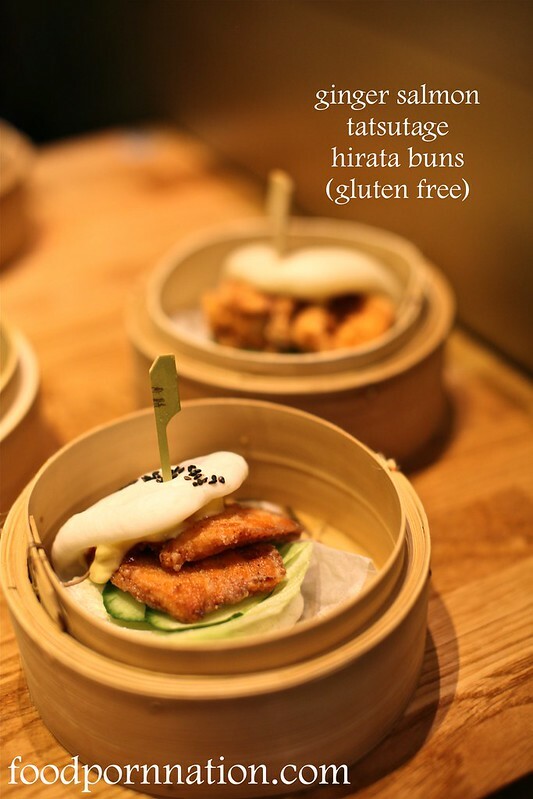 To read Erin’s gluten free post at Shoryu Soho, click here. Prices: Approx £15 to £25 for a bowl of ramen and one side, excludes drinks and service. Truffle and tiramisu mochi?! Yeah kidding me right? I wouldn’t mind giving that dessert a go, sounds awesome.